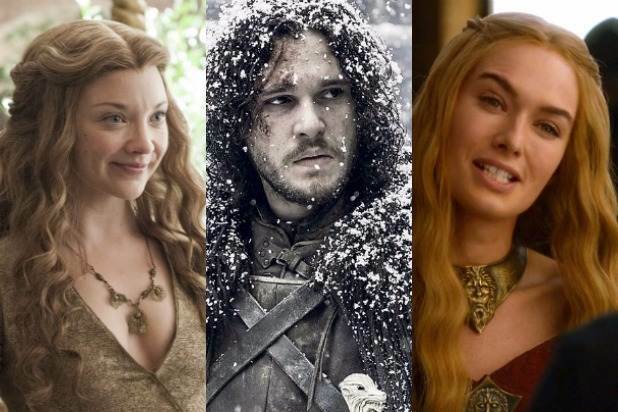 'Game of Thrones' 101: Who's Left from House Baratheon? Plenty of people have been assassinated, backstabbed, executed and put to the sword over the course of five seasons of “Game of Thrones.” The result of the War of the Five Kings and the reigns of quite a few terrible rulers has left a huge body count across Westeros. It’s been so devastating, in fact, that some of the Great Houses, the ruling families of lords across Westeros, have suffered devastating losses and even been wiped out. And one of the houses that’s lost biggest in the game of thrones is House Baratheon. The Baratheons managed to take the Iron Throne during Robert’s Rebellion almost two decades before the events of the show. 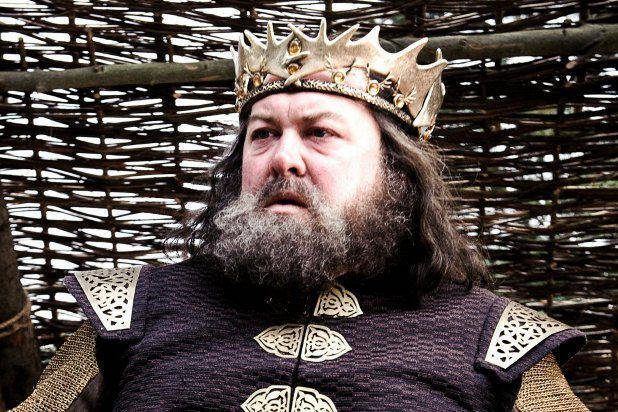 Robert (Mark Addy) became king of the Seven Kingdoms of Westeros, but his death in Season 1 kicked off the wars and conflicts that have marked the show ever since. Midway through Season 1, Robert got too drunk during the hunt and was gored by a boar. He died within about a day of his injuries. Robert’s death at the tusks of a boar was engineered by Queen Cersei Lannister (Lena Headey), his wife. She got her cousin, Lancel (Eugene Simon), the king’s squire, to indulge the king with too much wine during the hunt. That kicked off a war for succession that involved everyone related to Robert. His named heir was Joffrey Baratheon (Jack Gleeson), officially the king’s son, but Ned Stark (Sean Bean) discovered that Joffrey wasn’t actually Robert’s child. Instead, he was the child of Cersei and her brother, Jaime (Nikolaj Coster-Waldau), as were Cersei’s other two children, Myrcella (Nell Tiger Free) and Tommen (Dean-Charles Chapman). Robert also had two brothers: Stannis (Stephen Dillane), his younger brother, who held the castle at Dragonstone, and Renly (Gethin Anthony), his youngest brother, who served on the king’s Small Council. Because Ned had claimed Joffrey was not Robert’s trueborn heir, both Renly and Stannis claimed the Iron Throne for themselves. In the order of succession, without an heir, Robert’s throne would have passed to his younger brother, Stannis. But Renly, Robert’s youngest brother, had enough support from other houses, including House Tyrell, to make a claim of his own. Renly was killed, however, soon after declaring himself king. Stannis conspired with the priestess Melisandre (Carice van Houten) to murder him, and she used blood magic to do it, summoning a shadowy figure of Stannis that sneaked into Renly’s tent and stabbed him. But Stannis wouldn’t survive either. He was killed by Brienne of Tarth (Gwendoline Christie), one of Renly’s Kingsguard, after Stannis tried and failed to take Winterfell from Ramsey Bolton (Iwan Rheon). Stannis survived the battle, but was executed for his crimes when Brienne found him in the woods. Also Read: 'Game of Thrones' Fan Theory: Is Curse of Robert Baratheon Real? With the three Baratheon brothers dead, who’s the heir to the house? Officially, it was Joffrey, then Myrcella, and then Tommen. All three of the kids have also died by this point as well, however. Joffrey was poisoned by Littlefinger (Aidan Gillen), Myrcella killed by the Sand Snakes in Dorne, and Tommen jumped out one of the Red Keep’s windows after Cersei blew up the Sept of Baelor and most of House Tyrell with it. Robert also had a number of illegitimate children spread around King’s Landing. But when Joffrey was crowned king after Robert’s death, he ordered all those various kids killed. There aren’t any other Baratheon heirs left, either. Renly had no kids. Stannis had a daughter, Shireen (Kerry Ingram), who was his only heir. But Stannis sacrificed her to Lord of Light in an attempt to win the Iron Throne. That means every single member of House Baratheon that we’ve met is dead — except one. Gendry (Joe Dempsie), Robert’s illegitimate son and a former blacksmith’s apprentice, escaped King’s Landing before Joffrey ordered his death, and then escaped Stannis’ attempt to sacrifice him to the Lord of Light with the help of Davos Seaworth. In Season 7’s fifth episode, “Eastwatch,” Gendry finally returned to “Game of Thrones” after being absent since Season 3. As the only living person we know of who still has Baratheon blood, that makes him Robert’s last heir. But with Gendry headed north of the Wall with Jon Snow, the final Baratheon might not survive much longer, either.